Kristen Rieke, "Disappearance." Oil on Panel, 2011. 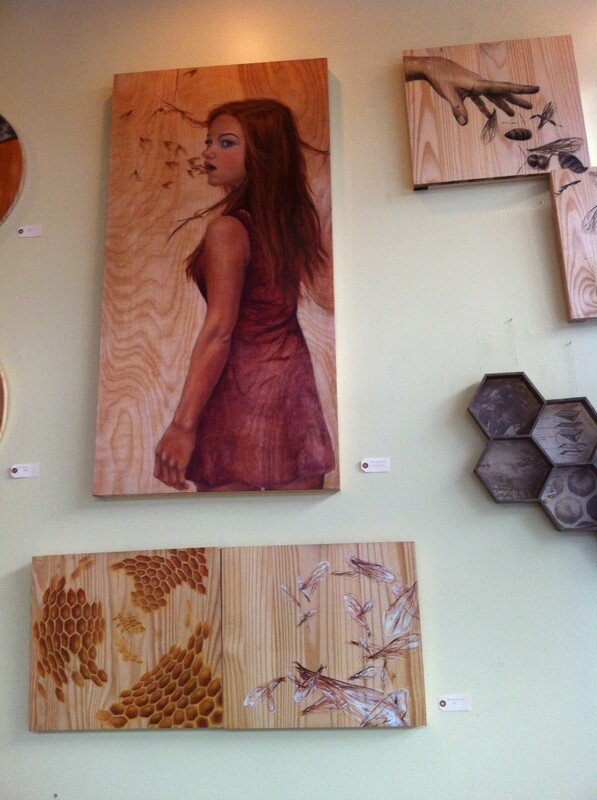 Check out more honeycomb-laden work at her site. 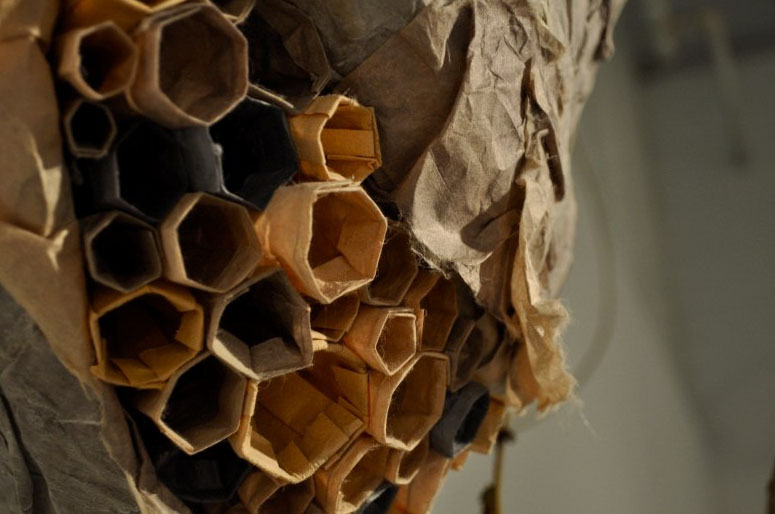 Much of her work focuses on humanity's connection to honeybees and the tragic consequences of colony collapse disorder. 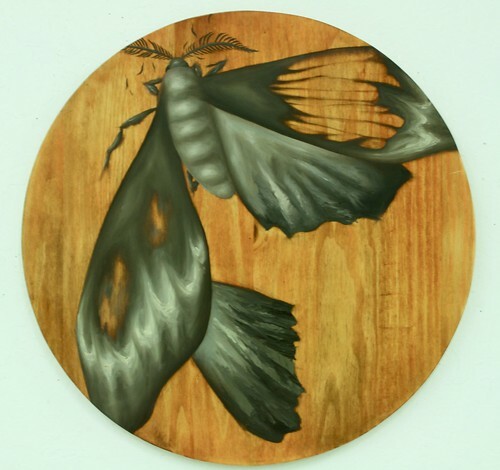 In addition, moths, beetles, and termites also receive attention and adulation. Here's hoping more of her work pops up around the Bay Area! 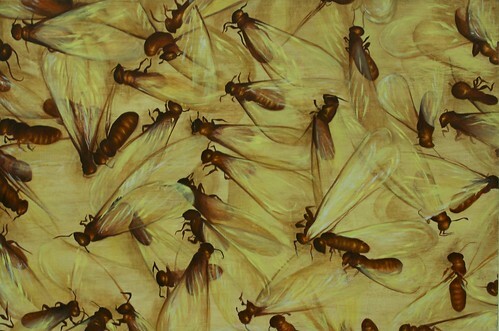 This entry was posted in art and tagged bee, Kristen Rieke, moth, San Francisco, termite. Bookmark the permalink. Holy cowbird. I’m utterly captivated by Rieke’s work and will go to Mission Pie tomorrow just to see the display (okay, I’ll have a macaroon, too). As you may know, colony collapse disorder is an issue dear to me, and one I know more about than a lot of other issues, having done a literature review and annotated bibliography on the subject last year for Pesticide Action Network.